Business accounting involves many financial details. A corporation's net income retained earnings are one type of profit requiring special attention. 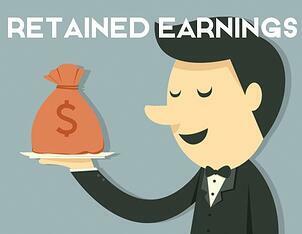 Understanding retained earnings is an important facet of business accounting and management. These earnings represent the cumulative earnings of the company that stockholders have not received. Instead of paying these earnings out as dividends to stockholders, the company will calculate retained earnings and then reinvest them into the business for operations or debt service. Corporations often have many questions about how to find retained earnings, and Ignite Spot offers expert outsourced accounting assistance in every area of business financial management. Corporations direct profits in two different directions -- the stockholders and retained earnings. Stockholders will receive dividends, which are their share of the company's profits. Businesses will also direct a percentage of the profits into the retained earnings column to utilize the profits for future growth. Stockholders typically have a keen interest in knowing how a company utilizes retained earnings, so they follow retained earnings on balance sheet very carefully. Companies might use these earnings to reinvest in the growth of the business in areas, such as development and research. Retained earnings also help pay for ongoing business maintenance to keep equipment operating correctly and to upgrade equipment when necessary. If you are wondering how to find retained earnings and retained earnings calculation for your small business, Ignite Spot can provide this professional assistance. 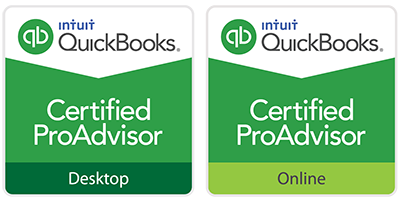 We are an online bookkeeping firm, specializing in providing the financial services needed by small and medium businesses. When you utilize our outsourced accounting services for your company, you effectively eliminate these daily struggles from your business. Let Ignite Spot provide these professional services, so you can focus on other more enterprising pursuits for your company. At Ignite Spot, we will never view your business as just a balance sheet filled with assorted debits and credits. We know that you have important goals for your company. Often these plans include reducing debt, which may involve prudent use of retained earnings. Our virtual accounting team is ready to assist you with beginning retained earnings calculations and other important business decisions. Business accounting demands that retained earnings be recorded as shareholder's equity on the company's balance sheet. Let Ignite Spot take over these accounting tasks for you. We are happy to share Ignite Spot history with our clients, so you can feel confident in the expertise and real-life understanding we offer business owners. You will see that our services never entail a long-term contract or expensive set-up fees to get started. We know that you are interested in increasing your profit margin, not your expenses. With Ignite Spot, companies can expect an increased profit margin of at least 10 percent, freeing up thousands of dollars each year to maximize earnings and cash flow. If you are ready to calculate retained earnings with Ignite Spot, download pricing to see the bottom line numbers involved with our services. 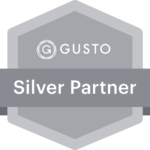 After requesting our pricing guide, we will send you a link to the requested information.